Our staff at Medifocus is committed to keeping our subscribers to the Medifocus Digest Alert on Spondylolisthesis abreast of the latest new research developments that have recently been published in the medical literature for this condition. In this issue of the Digest Alert, you will find a focused list of hand-picked journal article references that represent the latest advances in basic and clinical research for Spondylolisthesis. 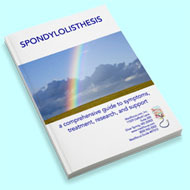 These articles represent the current state-of-the-art of the research that will hopefully lead to additional major advances and breakthroughs in the clinical management of Spondylolisthesis. You can access the summaries of each article referenced below by simply clicking on the article Title. We will continue to update you with the latest scientific and clinical developments through the Medifocus Digest Alert on Spondylolisthesis every 3 months. Thank you for your ongoing subscription to this publication. 1: A novel technique for stabilization of high-grade spondylolisthesis with transvertebral fusion without reduction. Institution: University of Miami Hospital, Department of Orthopaedic Surgery, 1400 N.W. 12th Ave, Miami, FL 33136, United States. Electronic address: Chester.Donnally@jhsmiami.org. Miami, FL 33136, United States. Ave, Miami, FL 33136, United States. Education, 1600 NW 10th Ave #1140, Miami, FL 33136, United States. Ave, Miami, FL 33136, United States. Miami, FL 33136, United States. Ave, Miami, FL 33136, United States. Journal: J Clin Neurosci. 2019 Feb;60:170-175. doi: 10.1016/j.jocn.2018.11.001. Epub 2018 Nov 22. 2: Minimally Invasive Versus Traditional Open Transforaminal Lumbar Interbody Fusion for the Treatment of Single-Level Spondylolisthesis Grades 1 and 2: A Systematic Review and Meta-Analysis. Institution: Medical College of Nantong University, Nantong, Jiangsu, China; Department of Orthopedics, Affiliated Hospital of Nantong University, Nantong, Jiangsu, China. ; Medical College of Nantong University, Nantong, Jiangsu, China. ; Department of Orthopedics, Gaoyou Hospital of Integrated Traditional Chinese and Western Medicine, Gaoyou, Jiangsu, China. ; Department of Orthopedics, Affiliated Hospital of Nantong University, Nantong, Jiangsu, China; Jiangsu Clinical Medicine Center of Tissue Engineering and Nerve Injury Repair, Nantong, Jiangsu, China. Electronic address: xq.c@live.com. Journal: World Neurosurg. 2019 Feb;122:180-189. doi: 10.1016/j.wneu.2018.10.202. Epub 2018 Nov 7. 3: Increased rate of lumbar spondylolisthesis in rheumatoid arthritis: A case-control study. Institution: AP-HP, Service de Rhumatologie, Hopital Bichat-Claude Bernard, Paris, France. Hopital Pitie-Salpetriere, Paris, France. Bichat, Paris, France. Journal: Eur J Clin Invest. 2018 Sep;48(9):e12991. doi: 10.1111/eci.12991. Epub 2018 Jul 13. 4: Adjacent Segment Disease After Single Segment Posterior Lumbar Interbody Fusion for Degenerative Spondylolisthesis: Minimum 10 Years Follow-up. Institution: Department of Orthopaedic Surgery, Osaka Rosai Hospital, Osaka, Japan. Journal: Spine (Phila Pa 1976). 2018 Dec 1;43(23):E1384-E1388. doi: 10.1097/BRS.0000000000002710. 5: Long-Term Results of Surgery Compared With Nonoperative Treatment for Lumbar Degenerative Spondylolisthesis in the Spine Patient Outcomes Research Trial (SPORT). Institution: Geisel School of Medicine at Dartmouth, Dartmouth College, Hanover, New Hampshire. Hampshire. Hampshire. College, Hanover, New Hampshire. Hampshire. Hampshire. College, Hanover, New Hampshire. Hampshire. College, Hanover, New Hampshire. Hampshire. College, Hanover, New Hampshire. Hampshire. College, Hanover, New Hampshire. Journal: Spine (Phila Pa 1976). 2018 Dec 1;43(23):1619-1630. doi: 10.1097/BRS.0000000000002682.